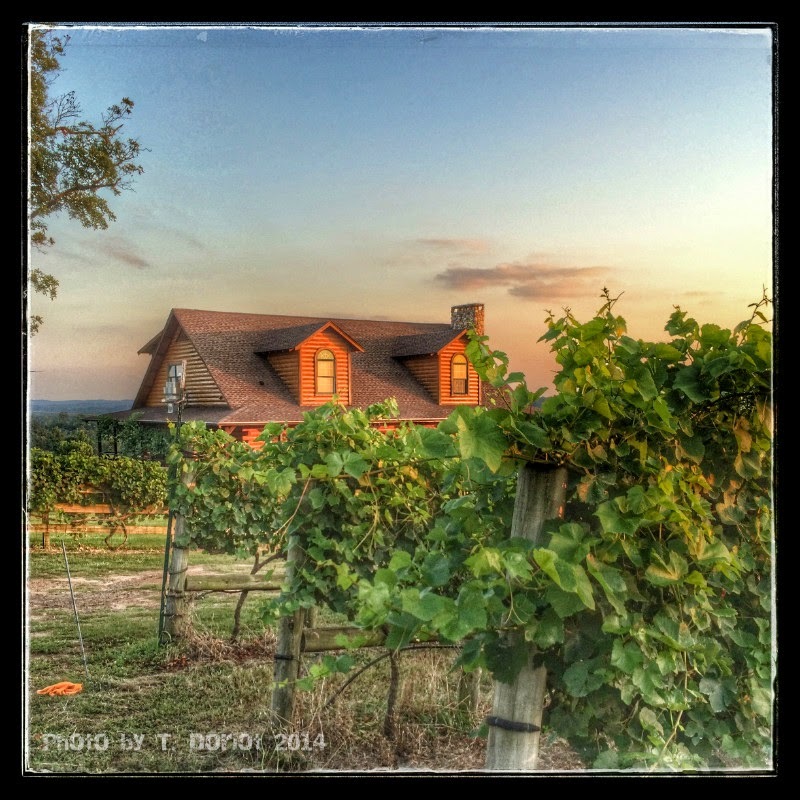 Vineyard and Winery near Jefferson Texas. 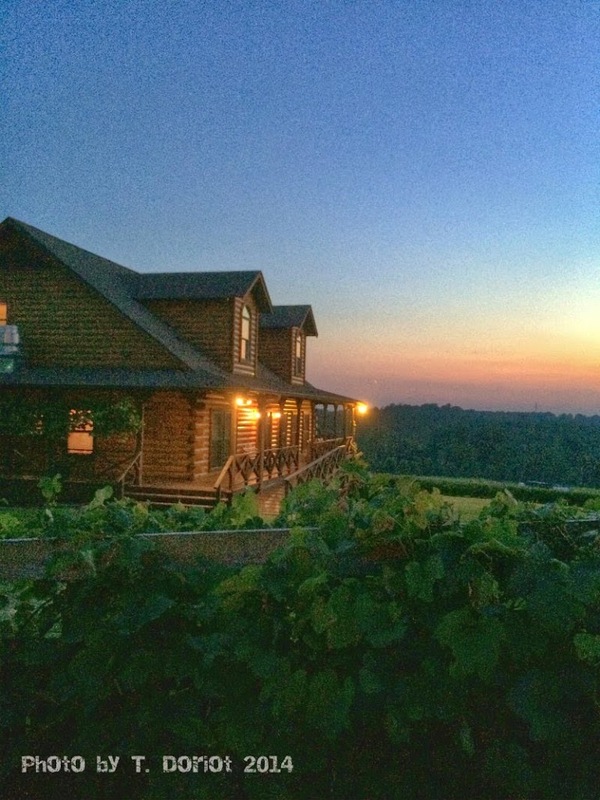 Enoch’s Stomp Winery and Vineyard is just a short drive from our bed and breakfast in Jefferson Texas. 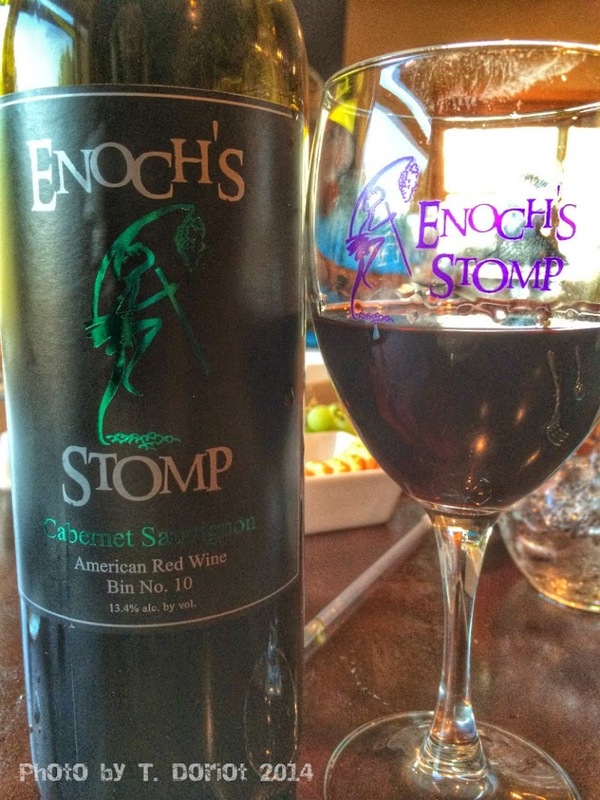 This past weekend we had an opportunity to visit Enoch’s Stomp Winery to see the vineyards and to have dinner. 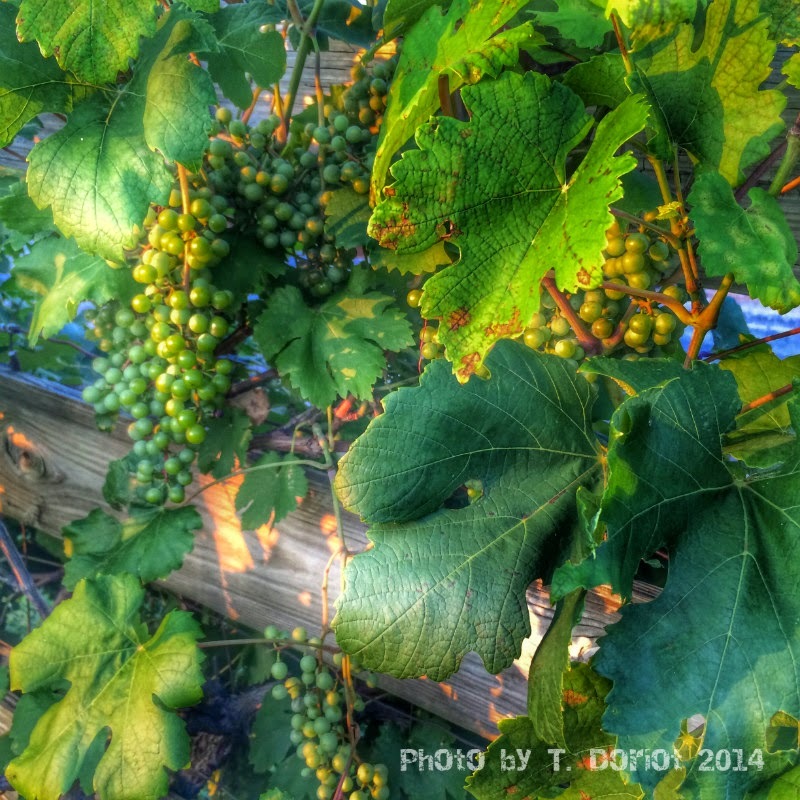 This time of year the white grapes were hanging heavy on the vine looking quite lovely. The restaurant is housed in a lodge that once was a bed & breakfast so there are a few things that you will not usually find in a restaurant. One of these is in the upstairs bathroom there is a clawfoot tub and wall chandeliers, surprising while beautiful. We had a very delicious bottle of Cabernet Sauvignon while enjoying the “Le Paris” plate of assorted cheeses and fresh fruit. Dinner was served to oohs and aahs all around the table. It was a splendidly delightful evening. While waiting for dinner to be served I had the chance to go outside and take a few pictures of the long beautiful rows of grapevines. Visit the Enoch’s Stomp website HERE for your reservations or stop by when they are open for a wine tasting the next time you’re in Jefferson Texas. This entry was posted in Restaurants, Weekend Getaways by Tammy D. Bookmark the permalink.